I don’t usually go for whites, especially one this stark but I figured it could be a great background color for one of my new top coats. 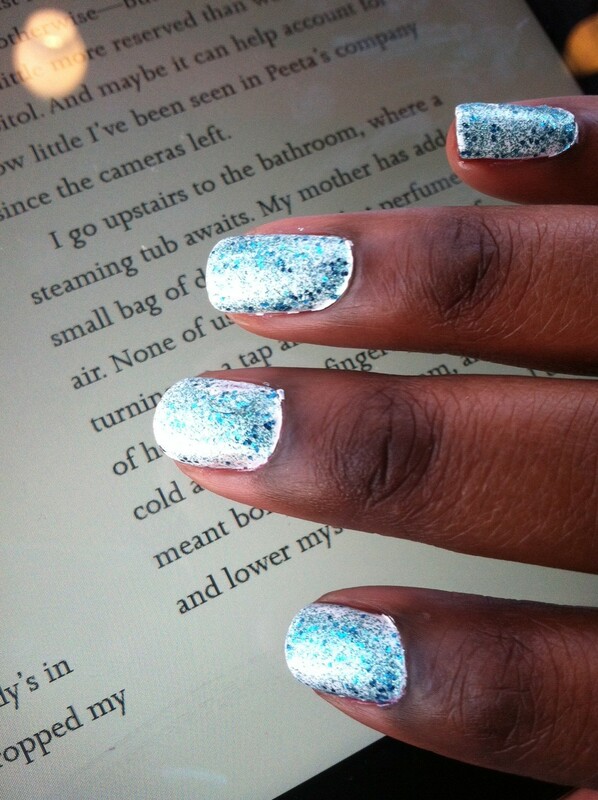 I layered it with Sephora‘s 3D glitter in blue, which turned out very pretty (would’ve been a perfect ‘first snow’ mani). The only thing I didn’t like was the nail polish smudged almost 3 hours after I did my nails- something that’s never happened with Essie so I’m blaming it on the Sephora glitter. 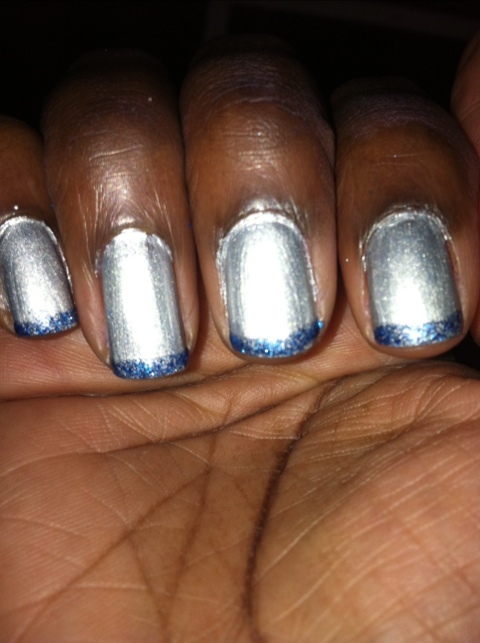 Next I did the silver, which was a great color on it’s own, but since I was already making alterations to my other manicures I was in the mood to add something to the silver as well. So say hello to the silver frenchie!